Let's start by saying that every hour the sun beams onto the earth more than enough energy to satisfy global energy needs for an entire year. Solar energy is the technology used to harness the sun's energy and make it useable. Today, the technology produces less than one tenth of one percent of global energy demand, but despite the drawbacks, solar energy use has surged at about 20% a year for the past 15 years. However, many companies especially startups are capitalizing on the abiding abundance of the planets sun. Emerging software is making solar power one of California's fastest-growing industries, employing over 100,000 people. In the USA, the solar power industry now employs more people than the coal industry and it's expected to become a trillion dollar industry in the years to come with people powering their lives with sunshine, instead of with coal or nuclear energy. We can trace all energy used on our planet back to the source...the nearest star, our sun. The history of solar energy is as old as humankind. In the last two centuries, we started using the sun's energy directly to make electricity and since then, it's use has exploded especially in the last few decades due to government subsidies. Forbes points out that the "Solar Industry Admits Green Energy Only Exists Thanks To Government Subsidies." 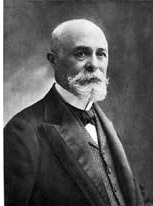 In 1839, Alexandre Edmond Becquerel (pictured below) discovered that certain materials produced small amounts of electric current when exposed to light which was nearly a decade after the word "clothesline" became an official dictionary word as we shared in our Clothesline History blog post. 1) Most people investing in solar believe that doing so will actually increase the value of their home, when in reality nothing could be further from the truth. Aside from that, when the time comes and you need a new roof, you'll end up paying a good amount to professionally remove and then reinstall the solar panels. If you ever need to make roof repairs, it's good to know that removing just a single solar panel can cause a 25% or more decrease in solar power production. If your going solar, it would be best to replace your roof before installing the new solar panels which usually carry a 20 year warranty which is about the length of time a roof will last. Solar power is not a set it and forget it deal, there is going to be much upkeep and a lot of time involved learning to keep things running smoothly. What's more, many homebuyers don't think solar panels on their roof is aesthetically pleasing especially as they age and become obsolete. With the fast growing solar industry, it's highly likely that many people will ditch their old-fashion solar panels and end up upgrading way before the projected lifetime of their solar panels is reached if they even make it that long before deteriorating. 2) To make matters worse, most all solar panels are made in China inevitably and drastically increasing our dependency on fossil fuels which further increases our carbon footprint when we had the very opposite goal in mind, to reduce our carbon footprint. Truth be told, China is the "Power" in solar power! A 2014 study by Argonne reported that a solar panel's carbon footprint is twice as high when made in China. If your considering solar, it would be in your best interest to think locally rather than globally in getting solar panels shipped halfway around the world on a ship powered by fossil fuels that can really start to make your plans to go solar look like a black cloud. You may wish to consider making your own solar panels using American made materials or find someone locally who can manufacture them for you with the plethora of information available online to help you plan and move forward in a more sustainable future. 3) Contrary to popular opinion, solar has become more about conforming to the status quo rather than having anything to do with sustainability. To drive this point home, consider that the majority of people who go solar, don't even own or use a clothesline which was the original form of solar power. Unlike solar panels, clotheslines have self-sustained a free market economy without any government subsidies since the 1800's and are still the most popular form of solar and wind energy in the world. Through it all, they have stood the test of time, even with major setbacks along the way. Up until the 1950's, everyone had a clothesline, but shortly after the powered clothes dryer was invented, the status quo which was likely influenced by the powered clothes dryer companies, started making clotheslines illegal all over the country. The USA is the only country that has ever made clotheslines illegal and this problem is still real today which has motivated a movement long ago which is positively progressing by leaps and bounds. It just doesn't make any sense why clotheslines have been illegal for decades, all the while, the government is subsidizing solar power? It's called the "Right to Dry"! 4) Just when you think your new plans to go solar will take you off-the-grid, that's a common misconception since most solar power systems are grid-tied which means your still connected to the electrical grid. In fact, when there is no demand for energy, the solar panels send excess electricity back out into the grid for use elsewhere. So your expensive new solar system will be providing electricity to others that is resold from the utility companies and is somewhat credited to the homeowners electrical bill. Utility companies profit off grid-tied solar systems. And when your solar panels aren't producing enough solar energy, electricity from the grid will supplement or replace your solar power. Using grid-tied solar power is really no different than using your utility's electricity with the exception that some of the electricity you use comes from the sun. 5) If solar power was an economical investment that made financial sense, there would be a lot more demand from everyone rather than just the wealthy and rich middle class since the tax credit is only attractive to those with high incomes where the tax liability is high enough to take advantage of it. As David Spady with Americans for Prosperity points out, "there is a good reason the government gets involved in subsidizing industry, it's because there is not an adequate market"
"Solar panels were a market-driven industry until government got involved in pushing private solar as a way to save the planet from global warming through federal tax credits, taxpayer funded rebates and government backed loans. When government gets involved in any industry they pick the winners and losers. In the case of California’s agenda to provide taxpayer money to subsidize green energy – the winners are the solar panel manufacturers and the banks who make risk free green energy loans, backed up by government guarantees. The losers are the taxpayers who subsidize the solar industry and homeowners who run into problems when they attempt to sell their homes."